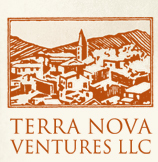 Terra Nova’s focus is the development and investment in unique, hard to solve and challenging sites and buildings, including development of urban infill sites, preservation of historic structures, and adaptive reuse of buildings.The Company, founded in 1999, has pursued difficult real estate development projects that others have been unable to render feasible including long vacant sites, environmentally impacted properties, and historic buildings that are victims of obsolescence. The Company name is derived from the town of Terranova di Pollino, Italy, the birthplace of the founder’s father, Frank Tufaro. Terranova – the “new land” – is steeped in tradition and a respect for the land and nature.